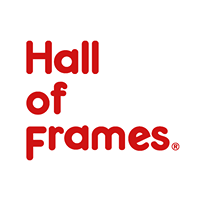 The Hall of Frames has been Arizona's family owner and operated picture framing specialists since 1975, and specializes in custom picture framing! Featuring over 4,500 Custom frame choices and thousands of Readymade frames, our designers can assist in selecting that perfect frame to compliment your lifestyle. Some of our specialties include framed jerseys or sports memorabilia, custom framed mirrors, prints & original artwork, preserving 3-D objects and artifacts, and canvas & needlepoint stretches. All picture framing is done on-site, and in one week in most cases. While you wait service is also available. Additional products & services include: Readymade frames, conversation and Museum Quality framing, Custom/Readymade framed mirrors, matting, glazing, dry mounting, needlework & canvas stretching, sports boxes, and professional delivery & installation.